It’s that time of year again! Every year we dedicate the first full week of the year to spending time in prayer. Follow our social media pages each day of prayer week for more information! 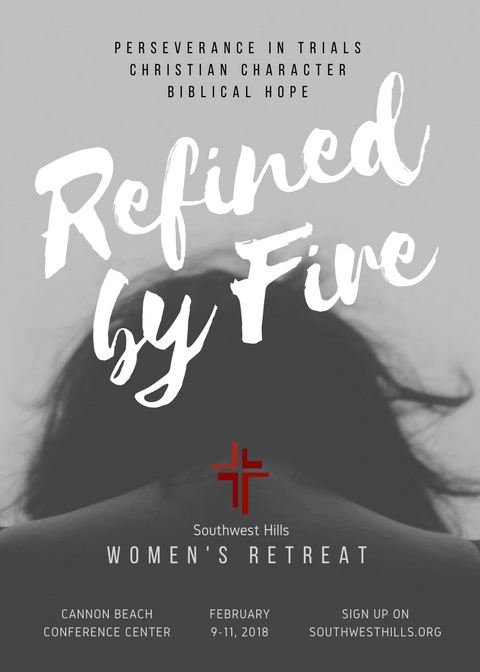 Come join us for food, fun, and fellowship on February 9-11 as we listen to Mrs. Mick Johnson speak about how the trials we have in this life refine us for "praise, glory and honor when Jesus Christ is revealed." 1Peter 1:7. Register here until 1pm on February 4th. We look forward to having you join us!